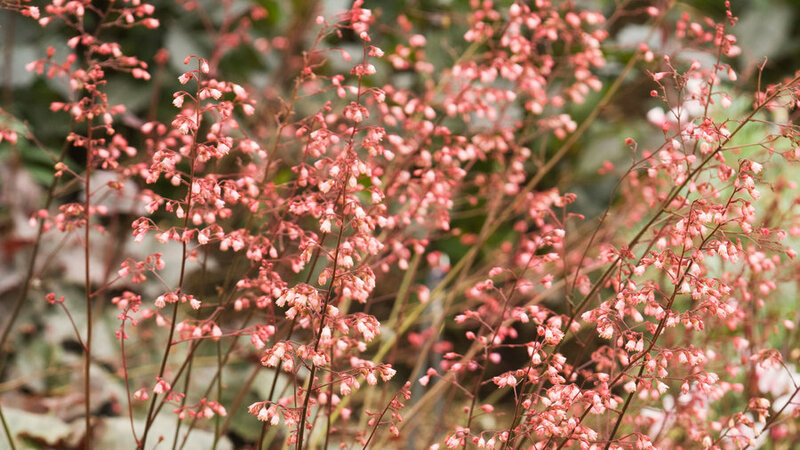 Commonly known as ‘Coral Bells,’ heuchera varieties range in color from the muddled green of ‘Veil of Passion’ to fiery oranges and pinks. Widely known for their tie-dye foliage, they also produce slender spike flowers that lend well to cutting. They require little water, and will thrive in any size container. 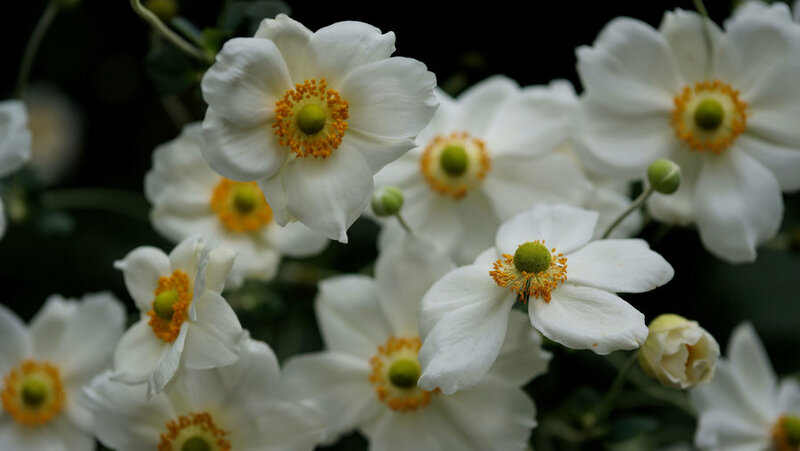 Not to be mistaken with the spring-blooming panda anemone, Japanese anemones are long-lived perennials that bloom on thin towering stems in the fall. They perform well in large, deep pots placed in partial shade. We love ‘Honorine Jobert’ and 'September Charm’ for their soft hues. 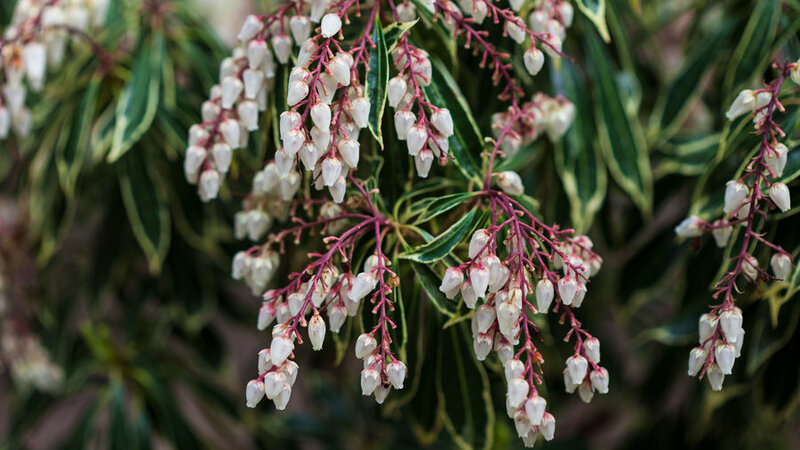 Evergreen shrubs that appear stately and robust year round, Pieris is a great option for large pots framing an entryway. Flower buds form in fall and resemble short strings of pearls ranging from pale white to deep burgundy. Provide regular water and plant in moisture-retaining yet well-draining soil mix. 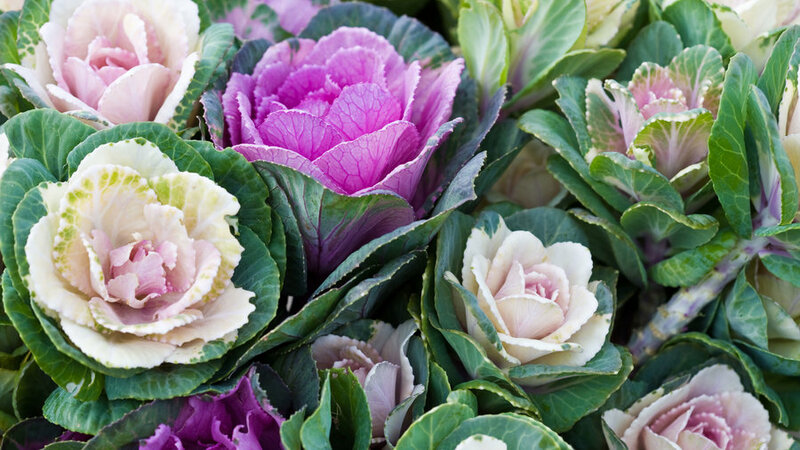 Best started from seed in summer and transplanted to pots come fall, ornamental kale is the perfect fall flower for pots as it will remain fresh and vibrant for months. Make sure to water regularly and provide afternoon shade if possible. We love the ‘Crane’ series for its deep colors. It’s about time heirloom chrysanthemums make a comeback! 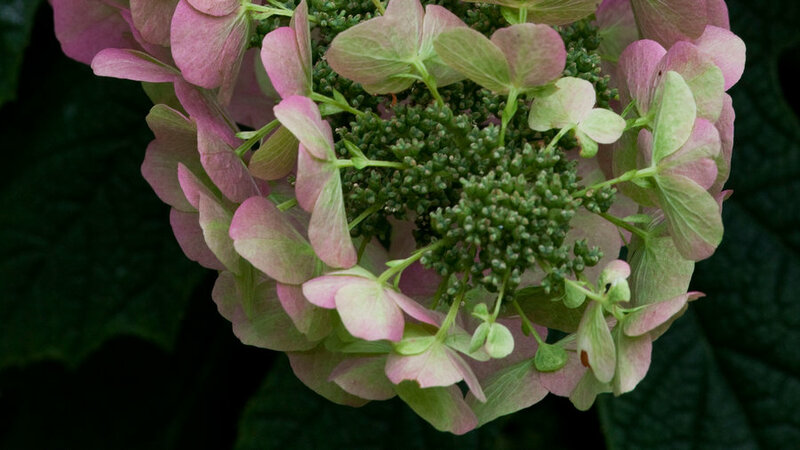 Look for wild, unusual varieties such as ‘Seaton’s J’Adore’ or ‘Moira’ that will provide color in the patio garden right through light fall frosts. Transplant in summer, keep watered, and wait for the eye candy. Made popular for its medicinal uses, echinacea also makes a stunning fall flower that performs well in containers due to a slow growth habit. They enjoy direct sunlight and are fairly drought tolerant. 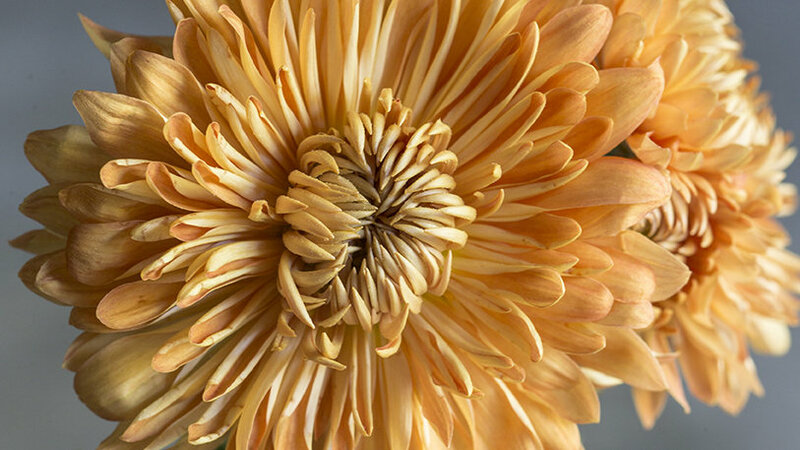 Vibrant, thin petals extend from brown, textural cone-shaped centers atop thick stems. Commonly known as stonecrop, sedum often thrives where nothing else will. The thick, succulent stems and leaves hold water expertly, leading to a stubborn and resilient plant that doesn’t ask for much. 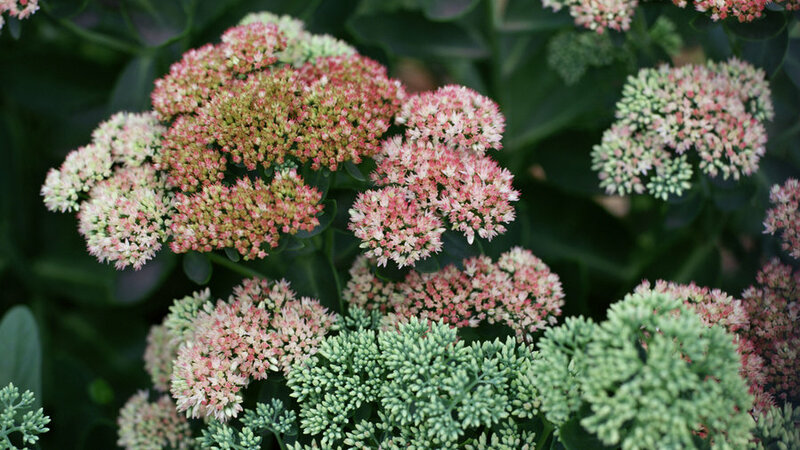 Heavy, dense flower heads fade from green to light pink to maroon in early fall. Reaching 6 feet tall and almost as wide, oakleaf hydrangeas feature lacey, conical flowers and oak-shaped leaves that fade to red in fall as they age. Prune following fall bloom and continue to watch the foliage gain interest. ‘Sikes Dwarf’ is a lovely variety for large pots. 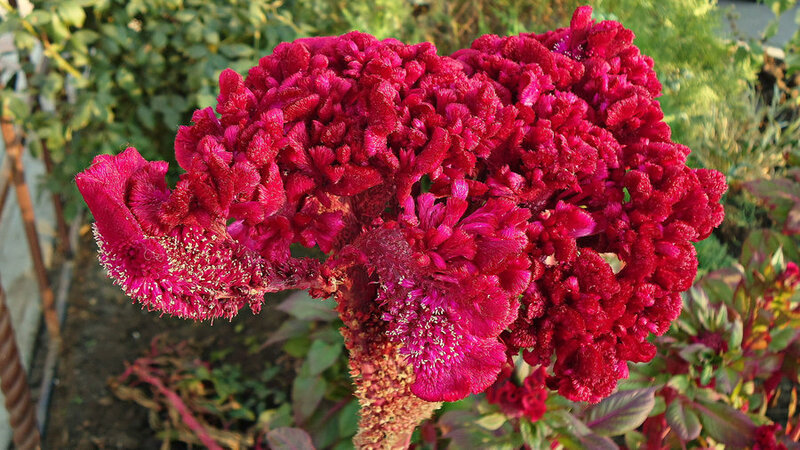 Often associated with summer, celosia is a brilliant, massive annual flower that blooms all through fall if planted late. Choose cockscomb varieties such as the ‘Bombay’ series as they’ll do best in containers and maintain their vibrant color deep into fall. 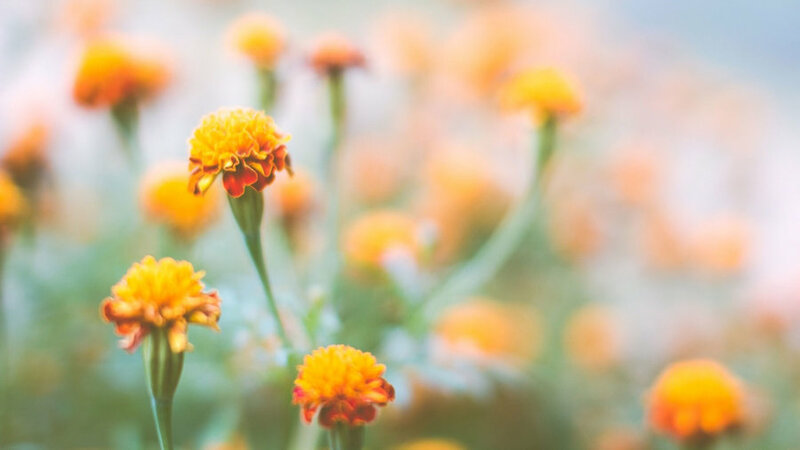 Boasting a range of colors from white to pale yellow to deep orange, marigolds are ideal for fall color in the garden. They thrive in poor soil, as excess nitrogen stimulates green growth at the expense of flowers. So just plant in used soil and watch them take off.